It looks like it's going to be a long engagement for these two, according to Ruffa Gutierrez. Social media was buzzing with excitement yesterday as Sarah Lahbati and Richard Gutierrez announced that their son Zion is going to be a kuya. Yes—baby number two is officially on the way! The couple got engaged in March earlier this year, but it looks like Sarah isn't going to be marching down the aisle any time soon—and it's not just because of the baby bump. 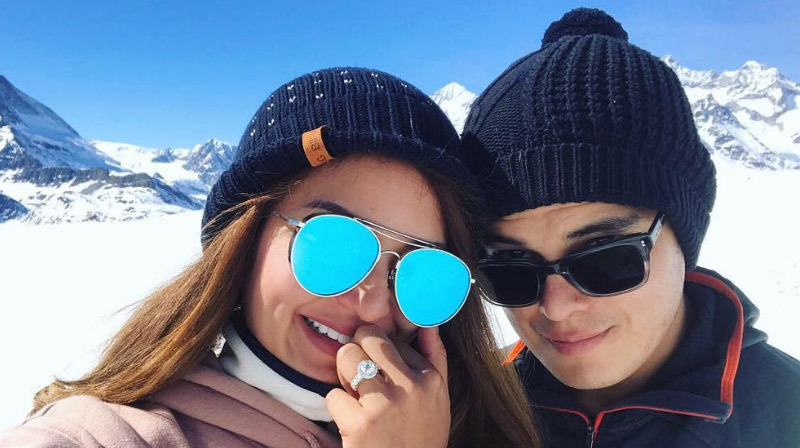 In an interview with PEP.ph, Richard's big sister Ruffa Gutierrez shared that her 33-year-old brother and his 23-year-old fiancée are focusing on their respective careers for now. She said, "I think right now hindi pa yata nila pinaplano ['yung wedding] kasi marami pa silang kontrata. Especially Chard, he has just made a comeback, and it’s very successful with La Luna Sangre. I know he’s gonna be doing two movies, 'yun ang unahin niya, 'yun ang naririnig ko." Ruffa also added that there's no reason to rush: "'Yung wedding that’s so easy naman, they're really together, it's more of sealing the deal for formality. I’m very excited for Sarah and to officially welcome her to the family. But she's also 10 years younger than Chard, so marami rin siyang gustong gawin sa buhay niya. So wag tayong magmadali…"
Ruffa is speaking from a place of wisdom as her own marriage with Turkish businessman Yilmaz Bektas ended in a split. The two married in 2003 and separated just four years after in 2007. Their two daughters, Lorin, 14, and Venice, 13 now live with Ruffa.